Practical and chic, these grey marble hexagon small plates are sure to impress your guests at your special celebration. 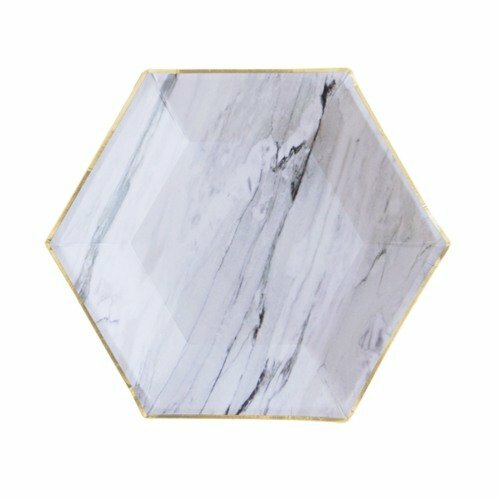 Each pack comes with eight hexagon plates that featuring a grey, faux marble look with gold trim. A stylish addition to your celebration.